This week that Cally has been on Spring Break has flown by. Cally and I had planned on going to Amish Country on Wednesday but after hearing the snow forecast we decided to go on Thursday. In the pictures above, Cally is in front of the post office in Berlin where we mailed out a couple packages of goodies for our cousins, Dudley and Ann, and also one to Billy at Ohio State. The second picture is of some horse and buggies at the grocery store. The third picture on the top row is of the Peanut Butter Chocolate Cheese. The picture in the middle is of an Amish farm. 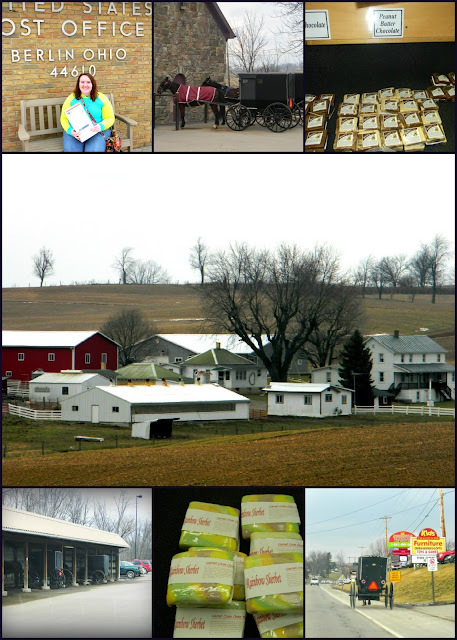 The bottom row 1st picture is of a stable at Walmart where the Amish can park their horse and buggies. The middle picture is of Rainbow Sherbet Cheese and the last picture is a horse and buggy going down the road. We visited our favorite bakery, Hershbergers. They have the best fruit fry pies. We also bought cinnamon rolls, granola, caramels, and the best oatmeal cream pies I have ever had. I am going to have to try and figure out a recipe for these Oatmeal Cream Pies. In Berlin we also hit our favorite bulk store. I love buying spices in Amish County, you can find just about anything you are looking for and at super prices. We spent a little time in the Antique Mall. Cally and I love looking and buying antiques. 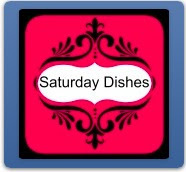 Cally found 2 cast iron skillets for a good price. I could not believe some of the prices I was seeing on these skillets, anywhere from $14 to $120 for a 7 to 9 inch skillet. When the kids were little Grandma Butts use to make us mush. She would give it to us ready to be fried. It was always the best mush we ever had. After grandma passed away I came across this mush recipe in my Betty Crocker cookbook and it seems to be the same or close to the same recipe that Grandma always used. 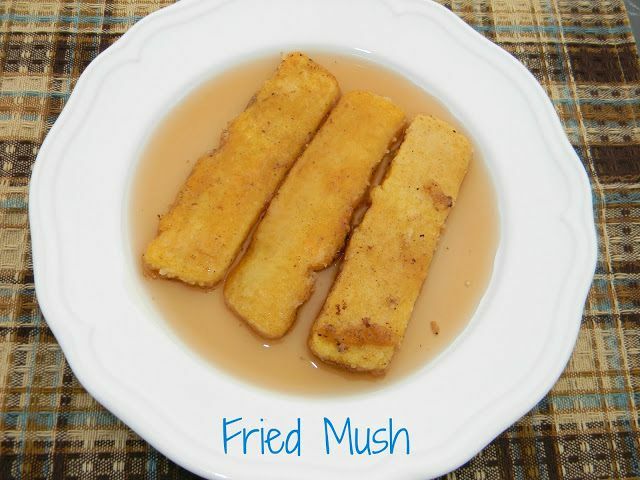 We have not had mush forever and Cally saw some in the grocery store in Amish Country and wanted it. Then we decided to buy cornmeal and make our own mush. butter/oil/bacon fat for cooking (I usually fry my bacon first then fry my mush in my bacon grease. Bring 2 1/2 C water to a boil. Mix the cornmeal and cold water in a pot. Whisk in the 2 1/2 C boiling water and the salt. Cook, stirring constantly, until it thickens and begins to boil. Reduce heat to a simmer, cover, and simmer for 10 minutes. Grease a loaf pan. Stir the thickened mush and pout into the loaf pan. Cover with plastic wrap and refrigerate for at least 12 hours. You can unmold the entire loaf and carefully cut slices. Dredge the slices in flour. Pan fry in a bit of butter, oil or bacon grease until crispy. Carefully turn and cook on the other side.